Slurping spicy laksa broth off a plastic spoon at a bustling market in Penang, to dunking steaming hot gyozas into rich soy sauce in Singapore; some food memories stay with you for life. I can still remember the very first time I tried Pad Thai; it was in a small, unremarkable restaurant on Koh Phangan. We were sitting outside on little plastic seats, the nights air was warm and our bottles of Chang beers were refreshingly cold. A Thai lady came out with a huge plate filled with a mountain of noodles; I dove in with my fork and spoon, and was instantly hooked. Food has the ability to transport you to back in time; flavours are imprinted into your memory and part of they of travelling is to discover a whole new world through food. 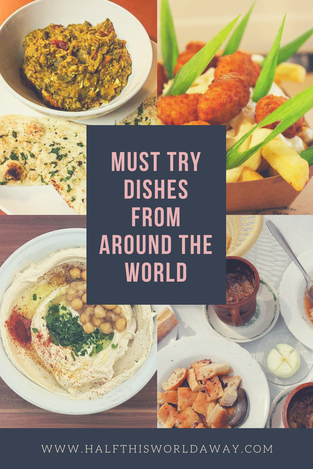 We asked fellow travellers to name their favourite dishes from around the world; the kind of food you must try when you visit a particular country and one where the flavours will transport you back in an instant. 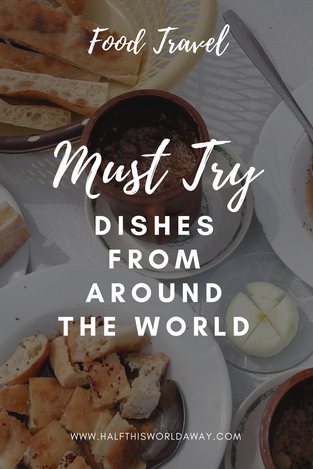 These are 27 must try dishes from around the world. 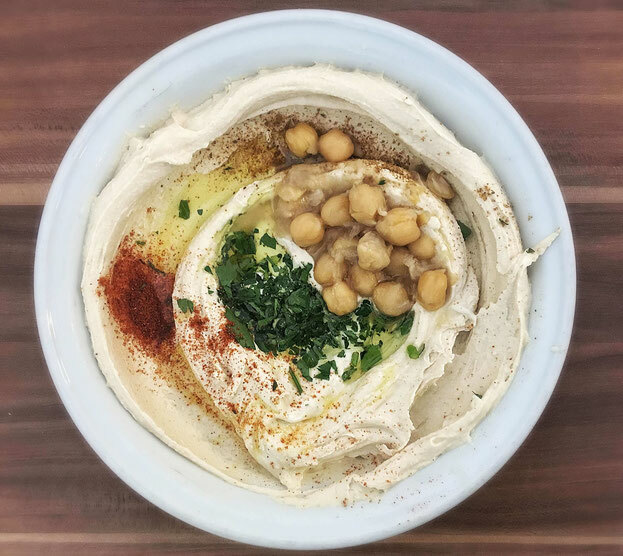 One of the must try dishes during a trip to Israel is hummus, so forget everything you think you know about this Middle Eastern dish! Whatever you have tried elsewhere in the world has nothing to do with this mouthwatering, full of flavour speciality. Hummus is a breakfast meal in this part of the world, so the best places that serve hummus typically close at around 2pm. Israelis take their hummus very seriously, and nobody would dare eat hummus that is older than a few hours. It's not the kind of thing that is kept in the fridge for days. The taste of it dramatically changes within a few hours of being made. So buy it and eat it! Other than the traditional hummus made with chickpeas, there's some kinds that are made with broad beans or which are topped with mushrooms. Hummus is typically served with a freshly baked pita bread, and accompanied with olives, fresh red onions and tomatoes. I had pasta for every meal during our 3 weeks in Italy. Spaghetti, trofie, pici, umbricelli, ravioli... I tried them all, and enjoyed them all! But as is the case usually, a couple of the 40+ pasta meals I had in Italy really stood out as being outstandingly delicious. So yummy that I would get on a plane in a heartbeat just to go savor those meals again. One of those two meals was at a restaurant called Il Frantoio, in the tiny Ligurian coastal town of Lerici, next door to Cinque Terre. The dish had just a few ingredients: trofie pasta, Genovese pesto, olive oil, garlic, potatoes, green beans and shaved parmigiano Reggiano cheese. But each ingredient was oh-so-fresh and full of flavour! The olive oil, made locally, was rich and fruity. The shape of the trofie pasta is perfect for holding in the delicious pesto. And the pesto! Liguria is the birthplace of Genovese pesto, so you can imagine how wonderful it was to taste here! If you visit Liguria, you must definitely try this dish. 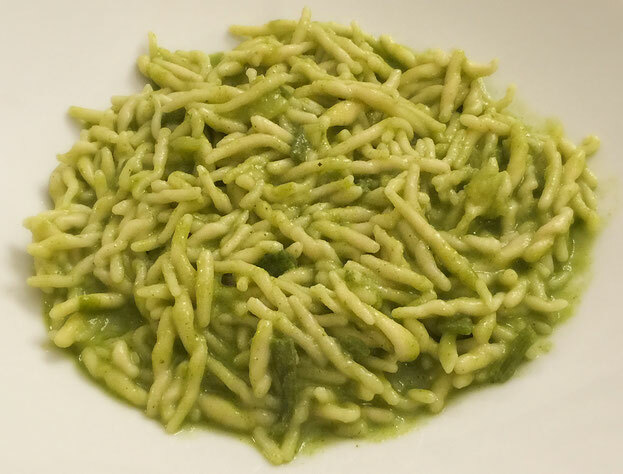 Every town serves it, so you should be able to enjoy trofie con pesto alla Genovese anywhere in this region. 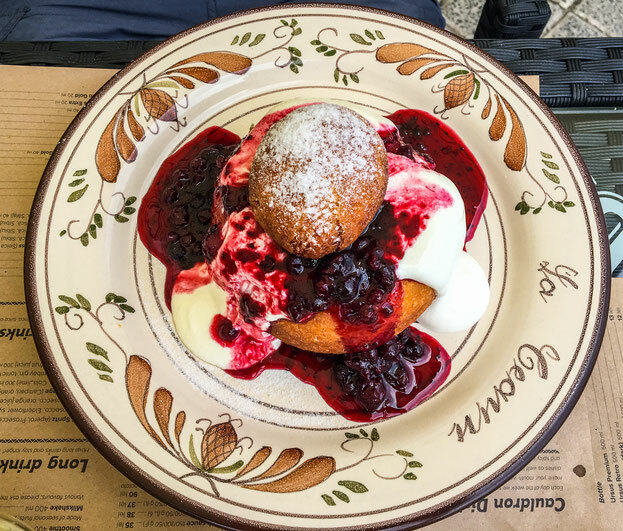 If you love desserts, then you must try the traditional Romanian one called Papanasi and pronounced pa-pa-nashi. But before you try it, I have to tell you this is a caloric bomb that you might end up loving so be careful and taste them at your risk! By merely describing this dessert you will understand why I have named it a caloric bomb. The papanasi are donuts which are usually filled with a type of soft cheese, which is very common in Romania, then covered with sour cream and jam. And no, they are not tiny at all. I would actually dare say that you can treat them as a main course. Not everybody is a fan of donuts, but these are not just ordinary donuts. Even their texture tastes different due to the creamy composition. And combining the sour cream with the sweet jam leaves a yummy taste in your mouth. As for the jam, the most commonly used one is blueberry (which whole fruits) or blackberry jam. So next time your visit Romania make sure to spoil your tastebuds and try the delicious papanasi. There is nothing like authentic Cuban food made with all the classic ingredients. 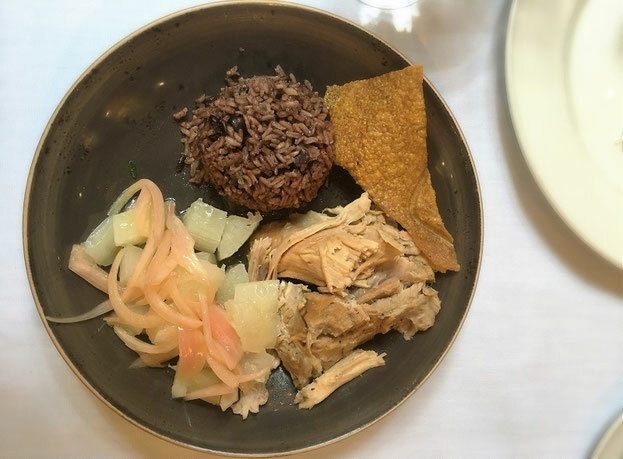 Cuba has many dishes that are officially considered "The National Dish", but no Cuban will deny that the true champion which can lay claim to this dish is the "Lechon". Lechon is a large piece of roast pig cooked over a slow fire until the skin is crisp. The marinade, called Mojo, is made from parsley, onion, pepper, salt, tons of garlic and something called sour oranges that you buy at Hispanic or Caribbean groceries. Classic side dishes used as accompaniments for lechon can be rice and black beans, fried plantains and yuca, a type of starchy tuber. In fact, lechon is so special that is it the main food consumed at Christmas time and other special occasions to celebrate with friends and family. 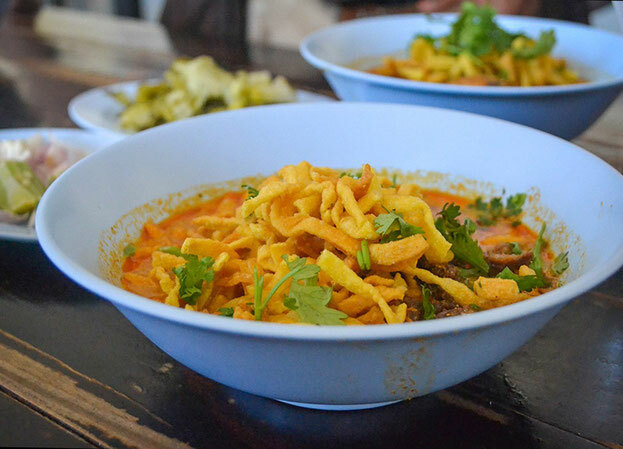 Probably the most iconic dish of Lanna cuisine and the staple food of Northern Thailand, is Khao Soi Curry. This dish can be found at pretty much every shop house and local eatery, sold side-by-side with the regions other favourite, Khanom Jeen Nam Ngiao (spicy tomato noodles). Khao Soi is the best of both worlds as it brings together two of Thailand's favourite foods with a spicy curry and noodle soup. As it is technically both of these, a curry noodle soup. Khao Soi is a mild (or occasionally hot) coconut based curry served over soft, boiled noodles and then topped with crispy egg noodles. It is typically cooked in vats with lots of chicken legs, although any meat will work. The bowl is then served with optional sides of chilli flakes for added heat, lime for the sourness, and onion and pickled cabbage for some extra bite. Together they then create the hot, sour, salty and sweet signatures of Thai cuisine. Khao Soi should really top everyones "to eat" list when travelling in Northern Thailand, where bowls at most local food joints cost around 35 baht ($1). Of all the foods that could be considered a Canadian dish, the Quebec specially known as poutine (pronounced "poo-teen" or "poo-ten") has got to be near the top of the list. While where has been a recent trend to dress it up with the addition of non-traditional items (pulled pork, lobster, chicken curry) at it's heart, poutine is composed of 3 simple parts; crispy French fries, cheese curds and gravy. Like so many other things in life, the dish is made in the details. The fries have to be thick-cut and crispy to provide a sturdy base. Shredded cheese will not to here; it must be fresh cheese curds that squeak when you bite into them and the whole dish has to be covered in a thick gravy. The gravy heats the cheeseacurds so that with every bite, you get the fries supporting a sting of melted cheese by the hot gravy. 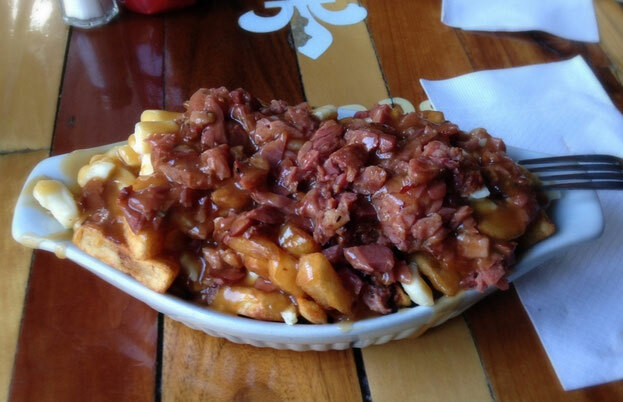 While poutine can be found everywhere in Canada, its home is in the province of Quebec. It isn't the prettiest dish but its one of the mot delicious and is perfect for sharing. If you're in South Korea, one of the famous dishes you must try is bibimbap. It's a beautiful bowl of rice, thinly sliced vegetables, protein and gochujang child sauce that you mix together in a bowl or a hot stone pot. The best place to try it is in the city of Jeonju, as it's said to be the birthplace of bibimbap. 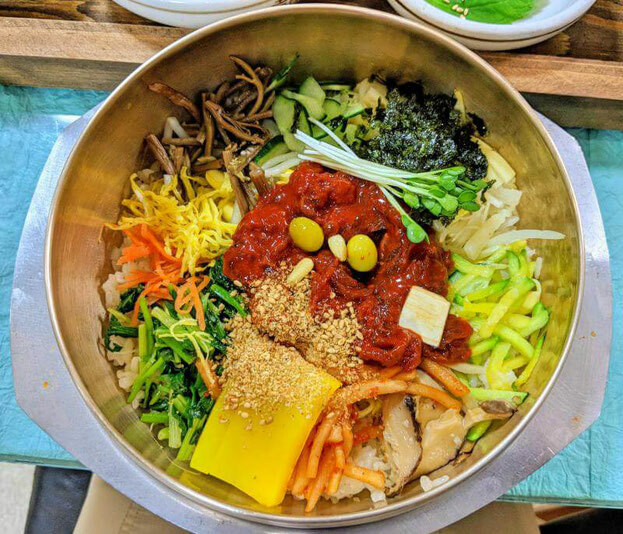 The Jeonju bibimbap is unique due to the clean flavours of fresh and seasonal vegetables which are grown in this region. Each bowl is presented with 10+ ingredients, such as gingko nut, carrots, bean sprouts, cucumber, daikon and more. As with protein, the two options for Jeonju bibimbap are beef tartare (raw beef) or cooked beef depending on your preference. We love how every meal has barchans, the small dishes of kimchi, pickled daikon, sweet potatoes and other deliciousness. Enjoy this healthy and wonderful meal on your next visit to South Korea! Plov (pilaf) may be Azerbaijan's national dish, but piti is an equally delicious meal to try when you're in the Caucasus nation. Also popular in neighbouring Iran and in Central Asia, the name "piti" refers to both the meat stew and the single serve-sized earthenware pot it is cooked in. Mutton, vegetables, chickpeas and an ample amount of saffron are placed in the pot before the secret ingredient - a lump of fat - is added. The pot is then sealed the stew is cooked low and slow. The real joy of a piti is the ritual involved in eating it. It's really two meals in one. First, you take a piece of Turkish style bread and tear it into small pieces, placing it in a shallow bowl. You then sprinkle it with purple sumac before taking the piti by its handle. Being careful to hold the meat and veg inside with the back of your spoon, you pour the broth over the bread. The thick soup is a starting course before you tuck into the rest of the stew which is eaten with more bread and sumac. 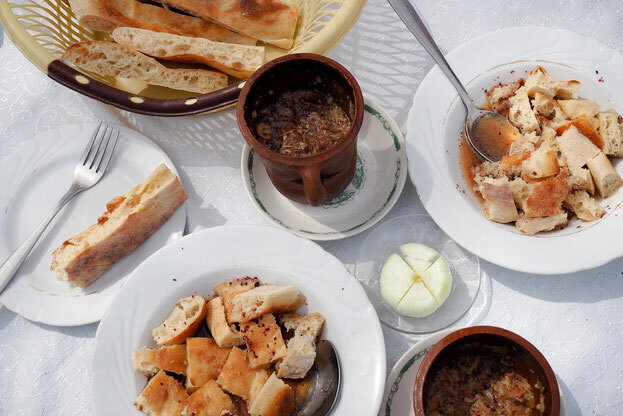 Piti is served in restaurants all over Azerbaijan and is especially popular in northern towns such as Sheki. 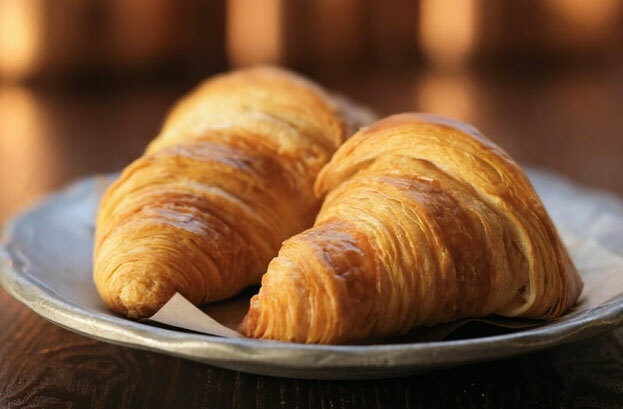 There is nothing more perfectly French than a buttery flaky croissant. The iconic crescent shaped pastries are a must try dish in France, and they are a must try several times because you should try and find the ones you like best. Croissants can be found almost anywhere in the world but I am here to telly they taste so much better in France. In their home country they are made with the finest ingredients and with attention to a detailed process. It takes at least 24 hours of preparation to achieve the desired flakiness and butteriness of the best croissants. Frozen dough is never used! Croissants are a breakfast pastry with the croissant au beurre (plain butter croissant). Then move on to a pain au chocolate (chocolate croissant) or croissant aux amandes (almond croissant). You should avoid the croissant ordinare at all costs - it is same with margarine, how terrible! If you are in Paris, you could start your croissant journey at one of the branches of Maison Landemain. They are renowned for the quality of their croissants, but I guess you will just need to try them to find out. While other countries have their fancy traditional meals and dishes, here in Australia we like to keep things simple! There is one thing that is fair dinkum, dinky di Australian and that's Vegemite. It's an acquired taste and one you are unlikely to enjoy unless you have grown up with it. It's what we would call a staple, can have it with anything; Vegemite on toast, Vegemite sandwich, Vegemite and cheese sandwich and my favourite, Vegemite and avocado on toast for breakfast! 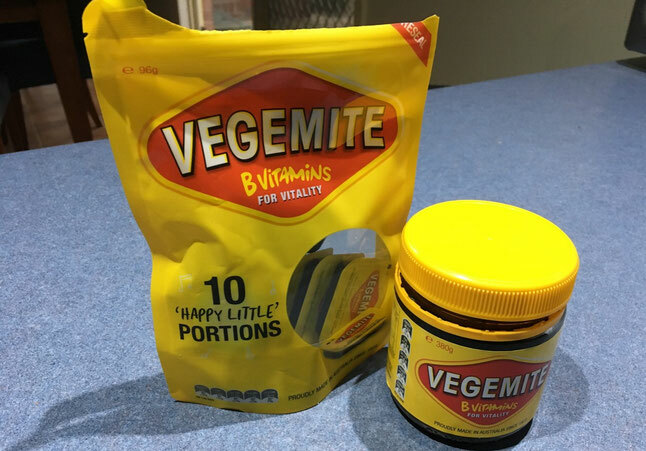 There's even a song with a catchy tune that every Aussie knows; "we're happy little Vegemite's as bright as bright can be, we can enjoy our Vegemite for breakfast, lunch and tea!" So what is Vegemite you might ask? It's probably better if you don't know and I have to admit, even after 40 odd years of eating it, I'm about to google it and find out! Google confirms it is made from leftover brewers yeast extract (a by-product of beer manufacture) and various vegetable and spice additives. It is an excellent source of B vitamins and is low in energy, with 1 teaspoon providing less than 50 kilojoules and containing 1.5 grams of protein, no fat and no added sugar. Not only is it yummy but it is healthy too! Win, win I say! It's really unfortunate that most people will never make it to Iran. And that's because in addition to the myriad ancient historical sites, like Persepolis, and the countries equally impressive cities, like Esfahan and Shiraz, Iran has some of the most amazing food in the region. My personal favourite while I was there is a vegetarian dish called Mirza Ghasemi. Mirza Ghasemi is a dish that feels like an Iranian comfort food - usually served with bread or rice. And it's surprisingly simple, it's made with aubergine, eggs, tomatoes, turmeric, garlic, oil, salt and pepper. But don't let the simplicity fool you, Mirza Ghasemi has a very deep, smoky flavour that is quite delicious. Although it's a Northern Iranian dish, it's so good that it has made it onto the menus of restaurants and home kitchens throughout the country. I have a Mirza Ghasemi recipe, it's one i've adapted from many I've found online to make it taste like my favourite from Iran. 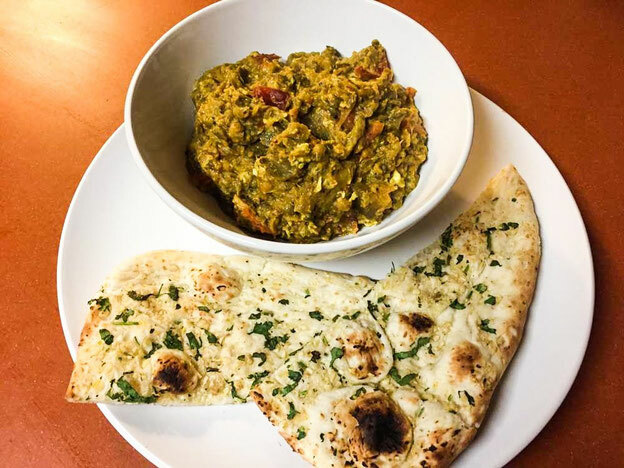 Serve it with a bowl of basmati rice or Iranian bread, if you can't find Iranian bread the a nice naan will do just fine. If you ask anyone, the best thing about Belgium undoubtably has something to do with food and drink. Belgian Chocolate, Belgian Beer, Belgian Waffles, and of course, Belgian Fries. And it's very hard to pick just one of these to recommend. And yet, I'd chose the Belgian fries for my recommendation. Especially, because I love reiterating the fact that potato fries originated in Belgium and that the French have nothing to do with it. More importantly, because fries are BAE all around the world, but once you've tasted Belgian fries you'll know the true taste of heaven. These are absolutely delicious. Unlike most fries, in Belgium, the potatoes are sliced and fried twice. The first time in vegetable oil and the second around in beef fat. Typically, these fries which are yummy even in their virgin form are then topped with a variety of dips and toppings, like cheese, bacon, mussels! Needless to say, Belgian fries are available all across the country - by the roadside in stalls, restaurants and popular eateries. Belgium is definitely that one country where you'd be more than happy to forget McDonald's for your share of fries. So if you're a true worshipper of "French Fries", as you'd call it, treat yourself the next time you're in Belgium by binging on some of the local fries with toppings to find Nirvana. Travellers go to many different places in the world, but an area almost forgotten by many travellers is Central Asia. It shouldn't be; the whole area is stunning, the locals are so friendly and welcoming but most importantly the food is delicious! 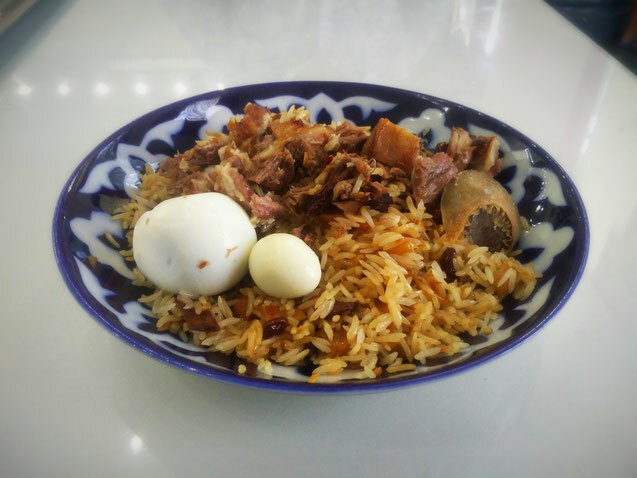 In Uzbekistan, I kept eating the national dish, Plov. So, what the hell is Plov? Quite simply, it's similar to a pilaf rice dish. Depending on the city, the ingredient may vary but usually in a plot there are cooked onions, garlic, carrots, egg, Kazi (horse meat), a mix of spices and sometimes dried fruit. You typically eat plov with a Uzbek salad of tomatoes and cucumber, but also with lemon tea. A plov can be oily, but it is delicious. Plov is the national dish of Uzbekistan, but it got so popular that neighbouring countries also have their own varieties. One thing you need to know: it's a hearty dish and you will be full before you realise it! 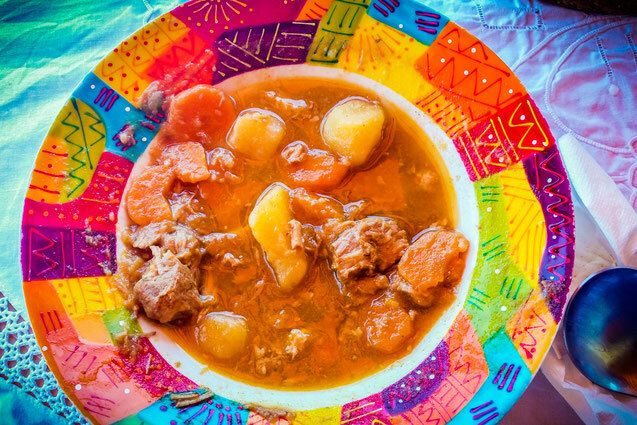 Kneophla soup (pronounced neff-lah) is unique to North Dakota. Ask any North Dakotan about it and they'll probably tell you their grandmother made the best kneophla in all the state. And no, you cannot have her recipe. I first learned about the soup at the end of 8th grade for our "Yay! Summer Break!" field trip treat. At first, I refused to try it! Soup on the last day of school was just wrong! Soup is a fall or winter dish, not summer. Finally, the kids in class convinced me to try it and it was way better than I could ever have anticipated. 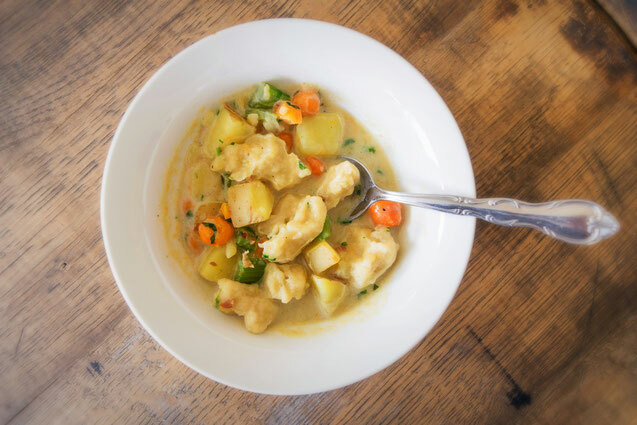 This hearty soup is full of carrots, celery, potatoes and knoephla (doughy dumplings) in a creamy, chicken stock. I promise you will be back for seconds as one bowl is never enough! If you want to make your own bowl of knoephla soup, you are in luck! I just published my kneophla soup recipe! Cannoli, which originated in Palermo, Siciliy, are crisp tubes fried dough filled with rich, fresh ricotta and sweetened with honey. They can be sprinkled with a variety of toppings like ground pistachios, cherries, chocolate shavings or candied fruit. They were originally made as a special treat during carnival season but were so popular they became an all-year-round indulgence. 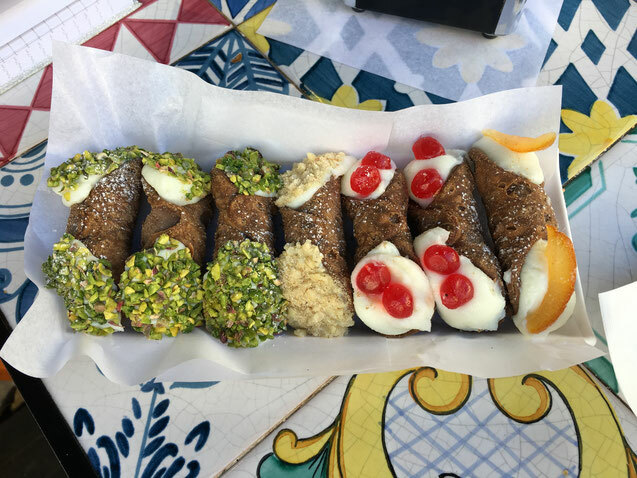 Cannolo is the singular which means "little tube" in Italian. Cannoli even have a part in the epic film "The Godfather". There's a classic line "Leave the gun. Take the cannoli" where the gangsters lave the crime scene with a box of cannoli but leave the gun behind. After tasting cannoli you can understand why. Nowadays you can buy the creamy, dreamy tubes of temptation in cafes and patisseries around the world and they're worth every single calorie! Make sure they fill the little tubes in front of you, if you buy them re-filled it likely the crispy tube will have gone soggy. 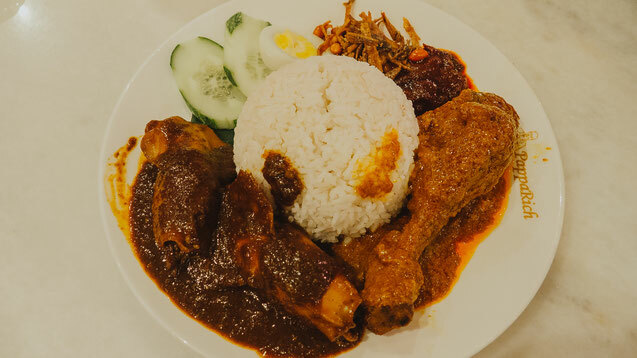 Nasi Lemak is a traditional Malay dish in Malaysia. The name of the dish literally means "fatty rice". Thanks to its popularity, you can find the dish in most local eateries and restaurants across the country. There are many varieties on how the dish can be prepared but the most common ingredients are; fragrant rice, fried chicken cooked in a redang sauce, fried anchovies, cucumber slices, a hard boiled egg and sambal sauce. When served hot, the aroma of the rice (usually seemed with coconut milk and pandan leaves) will tickle your tastebuds so much that you will start looking for it. As soon as your teeth land on the chicken, the slight spiciness might take you by surprise, but here's the thing - you will want another bite. Some eateries and stalls pack nasi leak into a piece of banana leaf as doing so enhances the aroma of the dish even more. There isn't a more iconic Hungarian dish than Gulyasleves, the traditional Goulash soup. Although there are many different version of this hearty soup, it's one of the favourites in every Hungarian household and you will find it in most local restaurants while you walk around Budapest or any other Hungarian city. Just as in the case of many other famous Hungarian dishes, Goulash also comes from the countryside, cow herds - whose name is gulyas in Hungarian - started to cook this tasty soup which contains slow cooked beef, carrots, potatoes, onions and of course, a lot of paprika. A hearty soup like this gave farmers the energy they needed, especially during the harsh winters in the Great Hungarian Plain. There are spicy or mild versions of this soup and its always served with bread. For vegetarians, there is a meatless version of this dish called Hamis Gulyas, which literally means fake goulash. 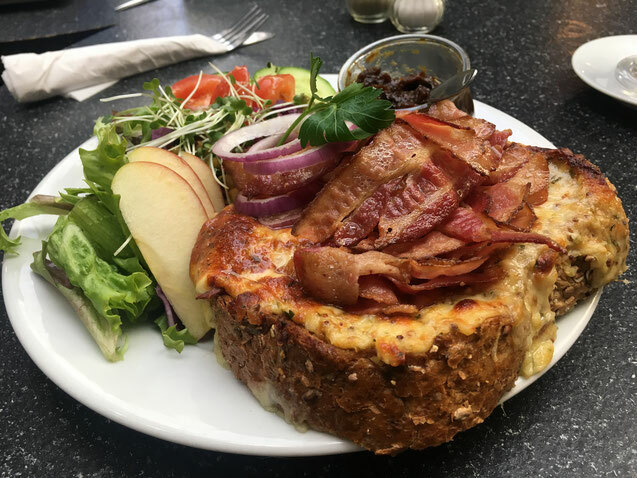 More than just cheese on toast, traditional Welsh rarebit consists of cheese, mustard, Worcestershire sauce and ale or beer mixed to form a sauce, which is then spread onto buttered toast and placed under a hot grill until bubbling. There are many variations of the dish, with some recipes calling for the addition of paprika, cayenne pepper, bacon and traditional Welsh laverbread (seaweed). Also known as Welsh rabbit, the dish's unusual name often provokes intrigue. There are many explanations for its origin, although it is commonly believed that Welsh rabbit would typically be served up for a South Wales valleys family dinner, as they couldn't always afford to eat rabbit. 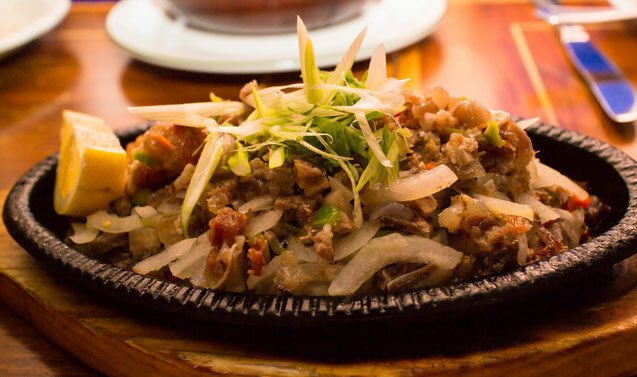 Originating in Angeles City, the home of some of the best chefs in the Philippines, sisig is a unique pork dish that has won the hearts of many with its innovativeness and great use of flavour. Sisig is made from the head of a pig, a part that most cooks discard. The head (particularly the skin and eats) is boiled, broiled, grilled and chopped. It is then put on a hot plate along with chopped onions and chilli, pork or chicken liver, ox brain or mayonnaise and finally, one raw egg is cracked on top. The entire plate sizzles and is meant to be mixed together to cook and distribute the egg. You can also add lemon on top for some acidity. A plate of sisig costs between 120-275 PHP, or just $2.25 - $5.00 USD. It is the perfect dish to match with a couple of bottles of beer. No trip to Switzerland (especially the Swiss Alps) is complete without a full-blown fondue meal. After all, is there anything better than a meal that involves cheese, cheese and more cheese? Fondue is perfect meal to indulge in during a winter in Switzerland because it warms you up while also completely satisfying your taste buds. Opt for a cheese fondue with some herbs in it for a bit of added flavour and your meal is sorted. The fondue will likely be served with bread and potatoes, but for something lighter, try to order a side of local sliced meats. Or, you can do it like my husband does and order a side of French fries - it's like cheesy fries, but 100x better because you're in Switzerland! 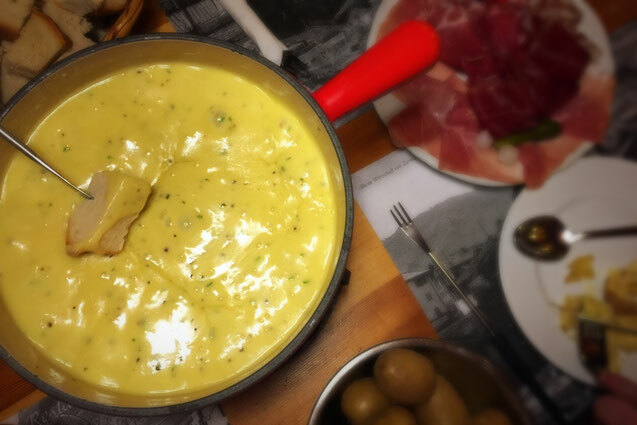 Fondue is best enjoyed in the mountains, but if you ave any chance to order it while you're in Switzerland, it's a dish you can't miss! Sure, most travellers to Germany focus on eating sausages and schnitzel, and those are must-eat dishes in Germany. But, one dish that is a little different, and a little more intimidating to tourists is pickled eggs. 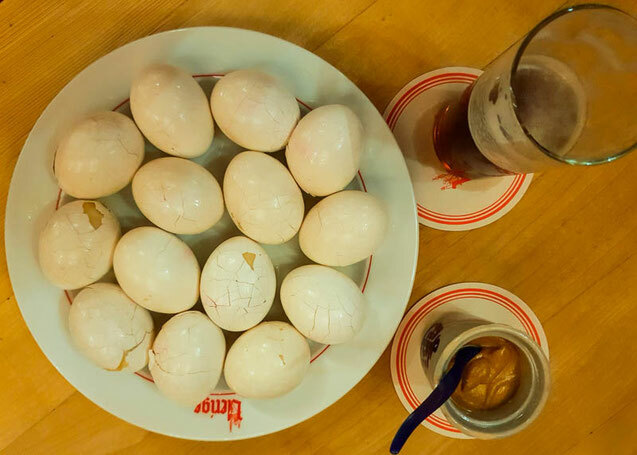 Eating pickled eggs at a beer hall in Dusseldorf, or really any other German city, has to be on the top of anyones must-eat list. The eggs arrive at the table, usually with a cold German beer, after being pickled to within an inch of their life. After removing the shells, it's time to carefully cut the egg in half, and remove the yolk. The, place a few drops of oil, vinegar and a dollop of spicy mustard inside the egg white. Then, replace the yolk and try to eat the pickled egg without making a huge mess. This is not a pretty dish; neither to photograph nor eat, but it has to be one of the best beer snacks out there. During your Balkan travels, you will most like stumble across burek. This pastry is very popular everywhere in the region and makes for a perfect, filling breakfast or a handy snack throughout the day. You can get burek in bakeries (called "pekara" in most Balkan languages) and they are located literally everywhere. 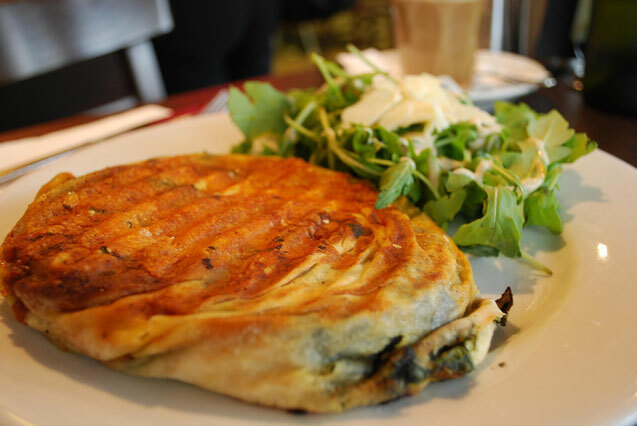 There are a few different types of burek, usually filled with cheese, spinach, meat or potatoes. In most of the countries they are just called "burek with...", depending on the filling, but in Bosnia each filling gives a separate name to the pastry. And so, "burek" is with meat, "sirinica" with cheese, "zeljanica" with spinach and "krompir" with potatoes. In some bakeries you can see how burek is made and when you buy one be sure to get natural yoghurt to accompany it - together they make the perfect meal! And now the best news, burek is dirt cheap! Usually around €1! Scottish food, at its core, is all about the ingredient. Unlike food in the US, there isn't large stale production here which means the attention to detail is apparent in the end product. 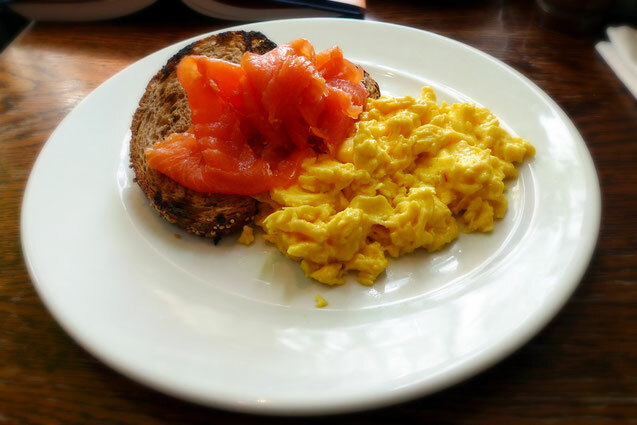 Throughout our time in Scotland, our favourite dish to have every morning for breakfast was smoked salmon with eggs. I know this sounds super basic and easy, but there is something special about having it in Scotland. You see, Scotland is known for their salmon as the fish is bred here and the water is perfect for it. This results in the freshest and most perfect salmon that is never far from the source. Scottish salmon is one of the most popular things to have in the morning but it can also be found at just about any grocery store at an affordable price. 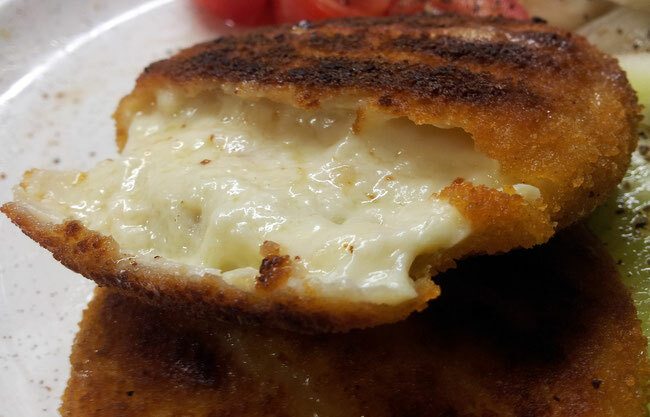 It may sound simple but fried cheese can be quite a delicacy, when done right. Imagine a deep-fried "steak" of Edam cheese with homemade tartar sauce and potatoes. This dish may not knock your socks off if you're into fine dining, but it is a Czech speciality and many locals love having fried cheese for lunch or dinner, and then flushing it down with a good amount of beer. For digestion purposes, of course. You can try fried cheese by ordering "Smazeny syr" or "smazak". You will almost aways need to specify what side disk you would like to have with it; my advice would be to simply choose potatoes. 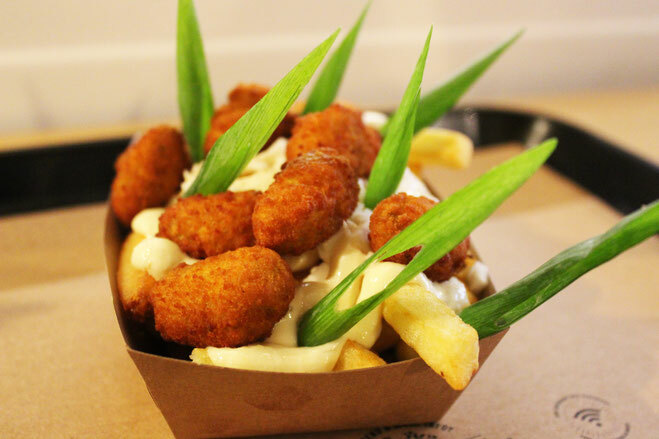 If you don't mind a deep fried food overland then you can opt for French fries. In the Czech Republic, almost every restaurant serving Czech food will have fried cheese. Often they have it even though it's not on the menu, just be bold and ask! Try fried cheese for yourself and let me know if you liked it! As real foodie travellers, it's true that you can always follow your nose but in Sri Lanka, you can also follow your ears in your culinary quest. 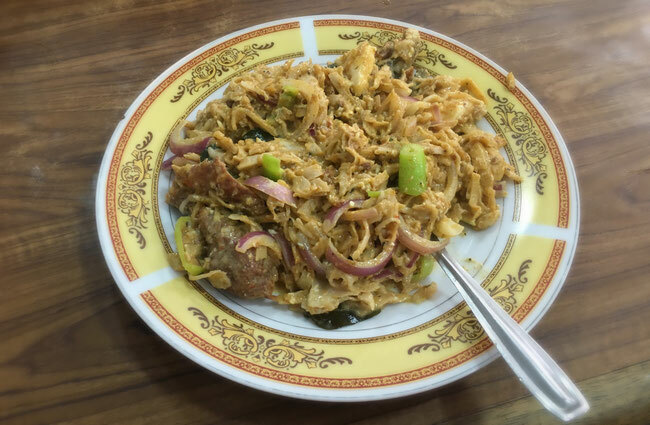 The kottu roti is a trademark dish in traditional Sri Lankan cuisine, popular among locals and travellers alike. This is partly because it is incredible and partly because you can hear it being made down the street! This delicious dish is made by putting a variety of herbs, spices and vegetables on a hotel metal griddle along with some roti bread. The cook will then use two large chopping blades to cut and mix all the ingredients together in an enticing and theatrical performance. Different chefs will have different cutting patterns and styles, but after 3 months of travelling in Sri Lanka, every one was finger licking perfection. With a rich and fragrant taste, normally served with curry, you can rely on this delicacy no matter where you are on the island. The kottu roti can be found throughout Sri Lanka and is generally served as street food. When you hear a vendor along the street, you tell the chef your favourite ingredients and watch him make it infront of you in an enticing few minutes. Not only is the dish quick to make and mighty flavoursome, it is also dirt cheap with a large portion costing less than £1! Tofu is a world-renowned healthy food choice, but have you tried stinky tofu? If you asked a Taiwanese person what their favourite dishes were, stinky tofu would be high on the list. Walking around Taiwan, a unique smell often wets in the air, especially in the night markets and nearby street food stalls. Thos not used to it may find it pungent, but the Taiwanese treat it like a delicacy. If the smell hasn't made you run for the hill, I recommend trying it, only because a traveller should immerse themselves in the local cuisine if they can. With the strong stench, you'd assume a strong taste but it's actually surpassingly plain. It is common for it to come in two forms; crunchy, which you stick vegetables in and pour soy sauce on top. Or, a soft kind, cooked in a sauce. 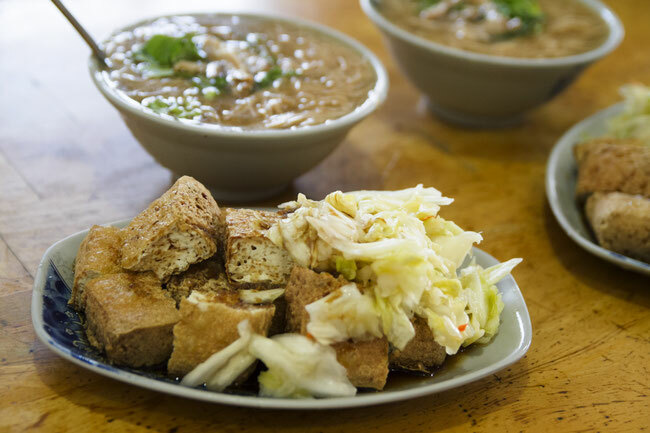 The likelihood of stinky tofu gaining popularity in salads and curries throughout the rest of the world is slim but when you're in Taiwan, it will inevitably make its way onto your list of must-try foods. Koshary is a staple Egyptian dish as it is one of the most flavourful, affordable, filling and widely available dishes too. Believed to have originated from an Indian lentils & rice dish known as Khichdi, which was brought to Egypt during the British colonisation in the 19th and 20th centuries. Perhaps you would not expect koshary to be a vegetarian dish, but it is also vegan too. 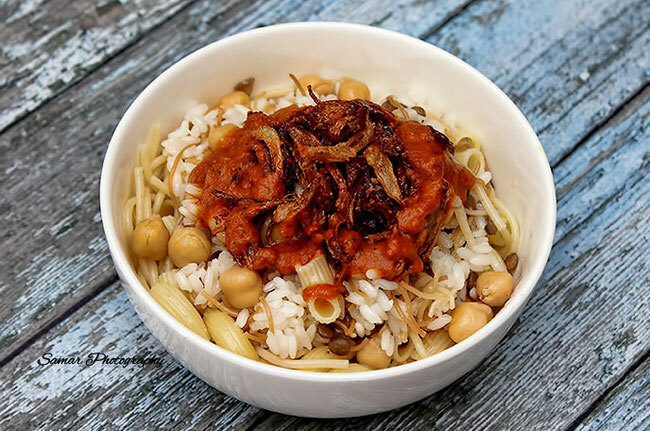 Koshary is the ultimate carb mix, made of all sorts of carbohydrates including rice, macaroni, vermicelli noodles, spaghetti, brown lentils and chickpeas. It comes in a tomato and garlic sauce, and is even better if you add vinegar and sprinkle fried onions to this hearty combination. Given its popularity, many places specialise in koshary; this ranges from on-the-go kiosks to restaurants. The traditional and most famous koshary place in Cairo is Koshary Abou Tarek in downtown. It may be touristy but it is really good! We are massive foodies, coffee addicts and have a problem where we can't seem to stay in the one place for very long! We are eating our way around the world, one bite at a time. And occasionally David will make us do a hike to burn off those extra (but delicious!) calories. HTWA was created in 2015 as a way for us to share our stories and experiences from years of travel; from tasting the freshest ceviche at a bustling market in Peru, to taking a hot air balloon at sunrise over the Masai Mara. We're on a never-ending adventure and we want to share it all with you. We want our stories to transport you to the places we've been, and for our photos to inspire your own adventures. JUST ENTER YOUR EMAIL AND HIT SUBSCRIBE. Watch out for timeshare scams as you travel the world. If you have already purchased one and are looking for a way out, have a look at timeshare exit services available online. © Copyright 2015 - 2018 www.HalfThisWorldAway.Com - A Travel Blog | Author: Megan Conway All Rights Reserved. Please ask for permission before using my content. Thank you!